A simple and user-friendly software that implements Prevention ReflexTM for the benefit of your organization’s occupational health and safety performance. A result of work and know-how based on 20 years of expertise. A solution that guides users in a logical, efficient and straightforward manner. A software enabling you to integrate health and safety, environment and quality assurance issues. A system enabling you to operationalize your requirements while optimizing operational autonomy. A solution that aligns due diligence and behavioural management. 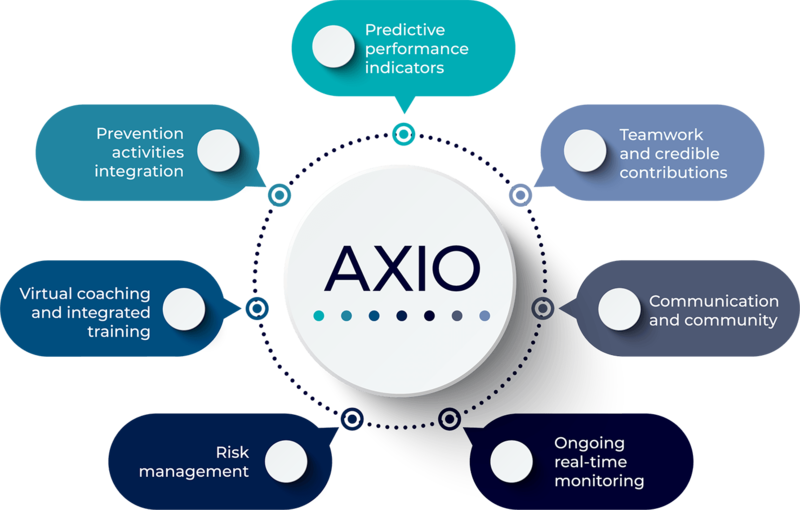 AXIO gives you the tools you need to achieve operational excellence. By beginning the integration process with an accurate diagnostic, AXIO integrates change strategies adapted to the organization’s reality. Transferring our experience through Prevention Reflex and our AXIO software enables us to guide you as if our team was on-site every day.